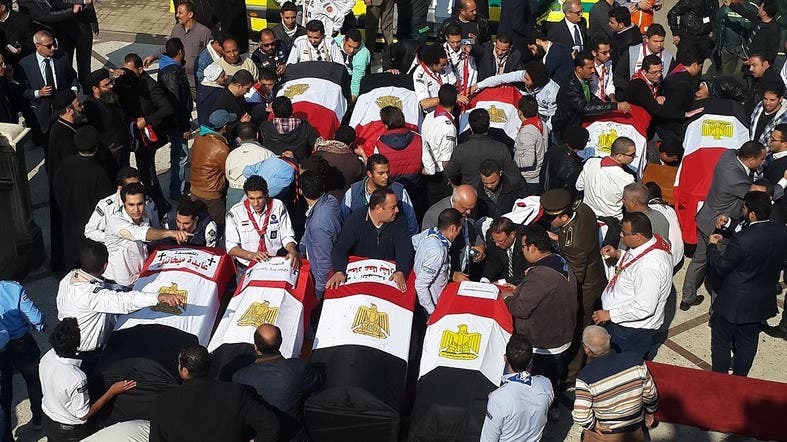 Thirty men were sentenced to between 10 years to life imprisonment on Saturday for planning a suicide bombing on a church in the Egyptian city of Alexandria and other charges, court official said. Authorities said at the time of their arrest that the defendants had embraced the ideas of ISIS extremist group and received training abroad and in Egypt. ISIS claimed responsibility for suicide bombings on churches in Alexandria and Tanta in April 2017 that left 45 people dead. Egyptian authorities have cracked down on extremist groups since President Abdel Fattah al-Sisi took office in 2014.